Kalamazoo, MI December 16, 2015 - The Kalamazoo Symphony Orchestra presents The World of Vivaldi, an interactive and immersive concert experience exploring the life and music of Antonio Vivaldi. Maestro Raymond Harvey will guide listeners through the life of composer Antonio Vivaldi; uncovering the influences and inspirations behind some of his best known and some relatively unknown works. For the World of Vivaldi, the Kalamazoo Symphony will feature two of its own players in Vivaldi’s Concerto for Two Trumpets in C Major — Scott Thornburg and Mike Brozick. Additionally, two young violinists from Western Michigan University, Liang Dong and Jordan Curry, will perform Autumn and Winter from the Four Seasons and Nate Roberts, an acclaimed multi-instrumentalist on faculty at Hope College, will perform Vivaldi’s Mandolin Concerto in C Major. Rounding out the program are two Sinfonias and the Concerto for Orchestra in G Minor. Regarded as one of the finest Baroque composers, Antonio Vivaldi’s (1678-1741) influence spread across Europe. Within a year of his ordination to priesthood, Vivaldi complained of respiratory illness and quickly left the priesthood. Some historical accounts indicate that while serving in the priesthood, he often left the alter in order to quickly jot down a musical idea. 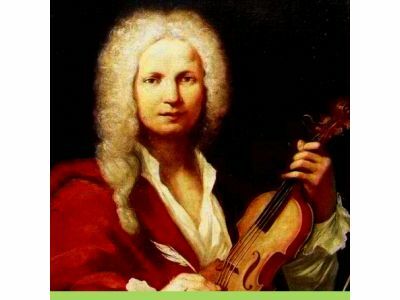 At the age of 25, upon leaving the priesthood, Vivaldi accepted a teaching position at the Conservatorio dell’Ospedale della Pietà in Venice. Over the next thirty years, he composed most of his major works. By the end of his life, he wrote an estimated 500 concerti, 60 sacred works, and 22 operas. Despite his relative fame, he died in 1741 and received a relatively modest burial in Vienna. Maestro Harvey has appeared as guest conductor with many of America’s leading orchestras, including those of Philadelphia, Atlanta, St. Louis, Indianapolis, Buffalo, Detroit, New Orleans and Minnesota, as well as the New York Philharmonic’s Young People’s Concerts and the Boston Pops. He has also had engagements with the Maggio Musicale Orchestra of Florence, Italy, the Pusan Symphony of South Korea, and the National Symphony Orchestra of Costa Rica. He regularly performs as a pianist in chamber music and as pianist/conductor in works of Gershwin, Mozart, and Rachmaninoff. Nate Roberts is a multi-instrumentalist whose musical career began amidst the folk and bluegrass tradition of the Allegheny Mountains in New York. He received a scholarship to study mandolin at Berklee College of Music, and was later awarded a graduate fellowship in jazz studies from the University of Oregon, where he completed his Master of Music in Jazz Performance (Guitar) in 2013. His recorded efforts include Structures, a collection of duo improvisations with tabla player Doug Scheuerell, which captures a vibrant dialogue between the melodic and harmonic vocabulary of the American folk tradition and the rhythmic vocabulary of North Indian classical music. Nate also plays mandolin in the progressive bluegrass quartet The Field Hymnal, whose debut album is set for release this winter. Currently serving on faculty in the music department at Hope College, Nate teaches in the jazz area, and directs the newly formed department of Traditional American Music. He is also co-founder of the Michigan Academy of Folk Music. Trumpeter Scott Thornburg has performed as a soloist and chamber musician around the world. Following undergraduate and graduate study at the University of Miami and the Juilliard School, Mr. Thornburg lived in New York City where he played principal trumpet with the New York City Symphony, the Summerfare Opera Orchestra, Philmarmonia Virtuosi, and Musica Sacra. He performed at the Caramoor Festival as principal trumpet with the Orchestra of St. Luke’s, and toured South America, Europe, and the United States with the Orpheus Chamber Orchestra. As a chamber musician, Mr. Thornburg was a member of the New York Trumpet Ensemble and has performed with Summit Brass, the Boston Brass, the American Brass Quintet, the Canadian Brass, Parnassus and the New York Brass. For four years he toured the U.S. and Canada for Columbia Artists with the trumpet and organ duo “Toccatas and Flourishes”. He has also appeared as soloist with the Vermont Mozart Festival Orchestra, Philharmonia Virtuosi, the Orpheus Chamber Orchestra, the St. Luke’s Chamber Ensemble, the Juilliard Symphony, the Brass Band of Battle Creek and on national and international tours with the New York Chamber Soloists. Mr. Thornburg’s recording of twentieth century trumpet and piano music with pianist Silvia Roederer was released in 2003 on Centaur Records. He has also recorded with the Orpheus Chamber Orchestra, the Orchestra of St. Luke’s, Philharmonia Virtuosi, the New York Trumpet Ensemble, the Western Brass Quintet, Spectrum Brass and with organist Richard Morris. Since the fall of 1989, Mr. Thornburg has lived in Kalamazoo, Michigan where he is a Professor at Western Michigan University as well as a member of the acclaimed Western Brass Quintet and the Kalamazoo Symphony Orchestra. In the summer he is a resident artist at the Bay View Music Festival in Bay View, Michigan. Mike Brozick is a member of the Kalamazoo Symphony Orchestra, Elgin Symphony Orchestra, and principal trumpet of the Northwest Indiana Symphony Orchestra. He has performed with the Chicago Symphony Orchestra, Pittsburgh Symphony Orchestra, Lyric Opera of Chicago, Milwaukee Symphony, and the Grant Park Orchestra and under the batons of Bernard Haitink, Pierre Boulez, Michael Tilson Thomas, Manfred Honeck and Sir Andrew Davis. He has recorded Gustav Mahler’s “Symphony No. 2” with the Chicago Symphony Orchestra and has performed in New York's Carnegie Hall and Vienna's Musikverein. At Lyric Opera he was featured on stage as one of the King’s Trumpets in Wagner’s “Lohengrin” and playing the Egyptian trumpet in Verdi’s “Aida.” As a chamber musician he is a member of the International Chamber Artists, Elgin Chamber Brass, and has performed live on Chicago’s classical music radio station WFMT. Mr. Brozick earned his Bachelor of Music Education degree from Duquesne University and a Master of Music in performance from Rice University and was a Fulbright Fellow studying at the Stätliche Hochschule für Musik in Detmold, Germany. Mike is an active recitalist and has been featured frequently as a soloist with the DuPage Symphony Orchestra as well as the Salt Creek Sinfonietta and is thrilled to be making his debut as a soloist with the KSO. Liang Dong was born in Zhengzhou City, Henan Province, China, in 1990. He started to learn the violin at the age of four. Liang first received his professional musical training in 2001, when he went to Wuhan Conservatory of Music under Jingwen Wei. Soon, he was admitted to the Middle School Attached to China Conservatory and became a student of Yuan Fang. Liang’s first artistic excursion happened in March 2006 when he was invited to play at the first International Far East Music Festival, which was held in Khabarovsk, Russia in order to commemorate the cultural year between China and Russia. In 2009, he was admitted to China Conservatory of Music and entered China Youth Philharmonic Orchestra (CYPO). In July 2010, he went to Salzburg, Austria with CYPO to participate in the notable Salzburg Festival. During his college time in Beijing, he joined the China Conservatory String Quartet and played as a first violinist. In 2011, the quartet became a prize-winner in the 8th Chinese Golden Bell Award for Music, which is a nation-wide, most reputable musical event in the country. The quartet’s repertoire comprised of different composers’ works such as Beethoven, Mozart, Schubert, Bartok, and so on. In 2012, he was admitted to the School of Music, Western Michigan University as an undergraduate student and studied with Professor Renata A. Knific. He is recently a KSO-WMU Artistic Scholar. He is also recognized as a Rhea Yeager Fetzer Music Scholar, and Edwin E. Meader Theatre & Performing Arts Endowed Scholar. Jordan Curry resides in West Olive, Michigan. He began playing violin at the age of six using the Suzuki method with teachers MaryJo Koppenal and Ann Camp. A graduate of West Ottawa High School in Holland, Michigan, Jordan continued to play violin and study music throughout his formative years. Jordan has participated in the Illinois Chamber Music Festival at Illinois Wesleyan University, the Michigan All-State Orchestra, and the Holland Area Youth Orchestra. He furthered his studies with Korean violinist Young Shin and professor of violin at Hope College, Mihai Craioveanu. Jordan is currently in his junior year at Western Michigan University in Kalamazoo, Michigan studying violin performance under the instruction of professor Renata Artman Knific. He was a finalist in Western’s 2015 Concerto competition. He is currently the recipient of a violin from famed maker Mario Miralles on loan from acclaimed violin soloist Tai Murray. The Kalamazoo Symphony Orchestra presents World of Vivaldi, an interactive and immersive concert experience exploring the life and music of composer Antonio Vivaldi. Maestro Raymond Harvey will guide listeners through the life of Antonio Vivaldi; uncovering the influences and inspirations behind some of his best known and some relatively unknown works.